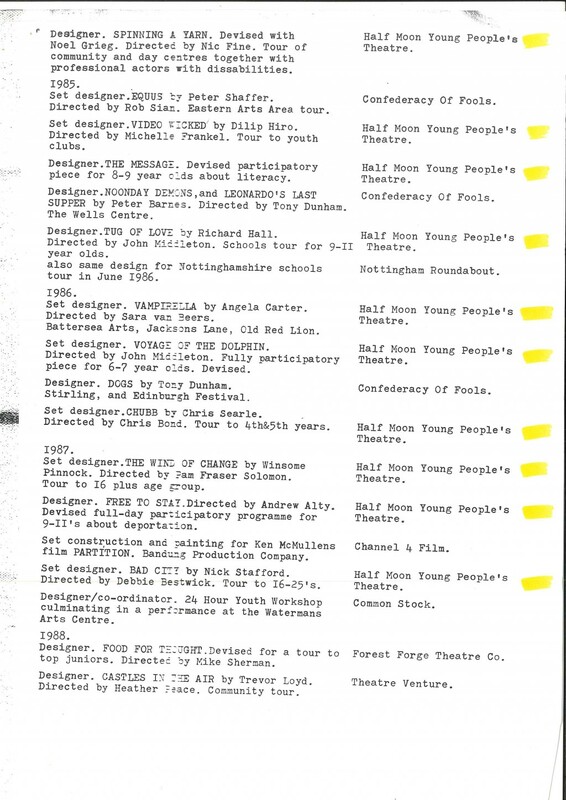 Mark Salkild was the resident designer / company manager with Half Moon Young People’s Theatre from 1982-1988 and also worked with the theatre in the 1990s. 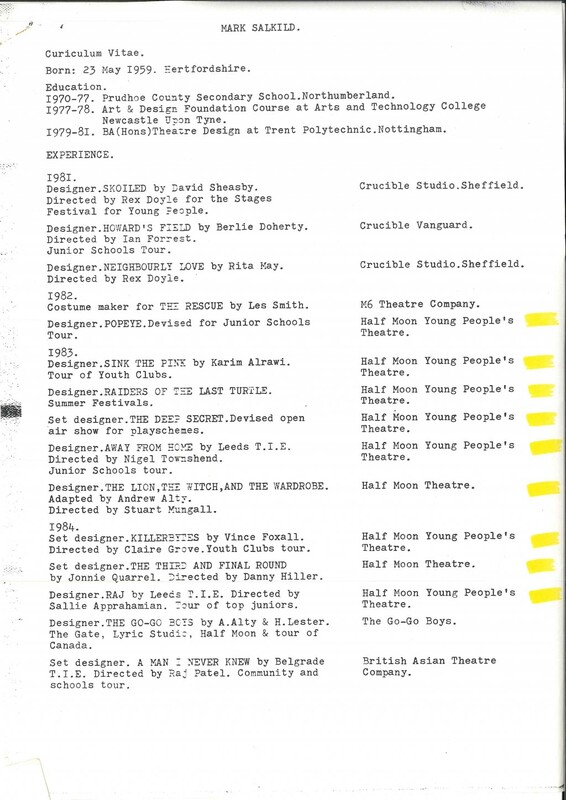 He designed 21 shows for the company, including two for the main house. 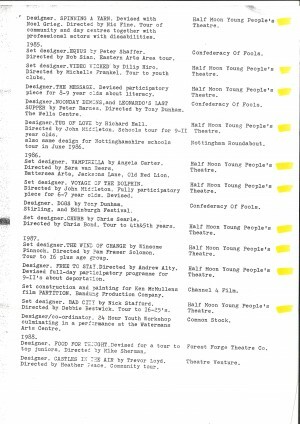 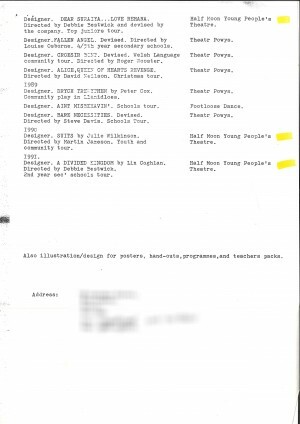 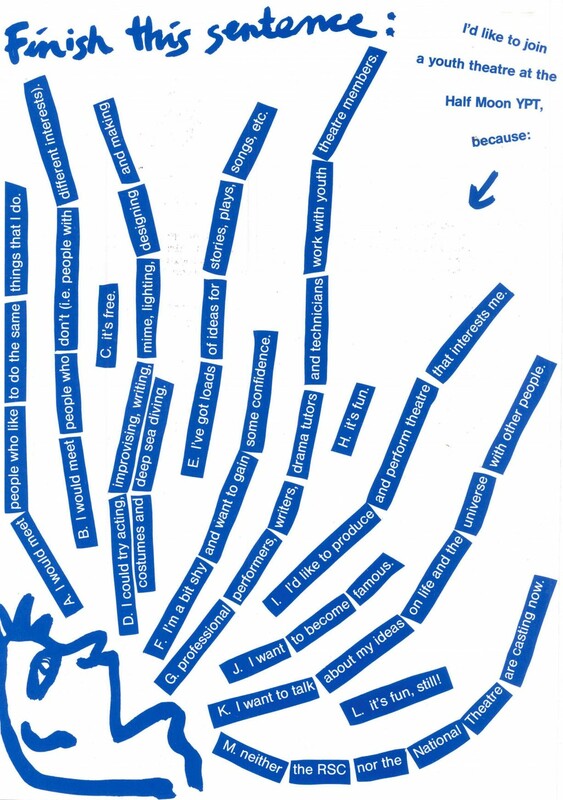 I was the resident designer/company member with the YPT from 1982 to 1988 and then did a couple of shows later on the 1990s. 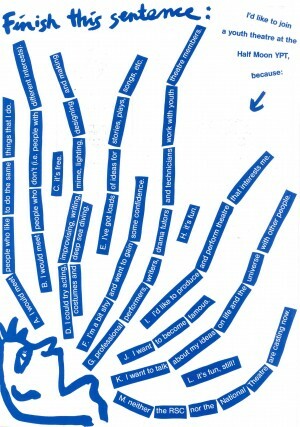 21 designs in total, including two for the main house! 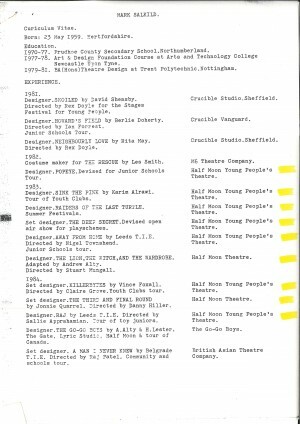 The first show, Popeye, and up to Raj I think in 1984 were rehearsed and devised at our base at Oxford House on the Bethnal Green Road. 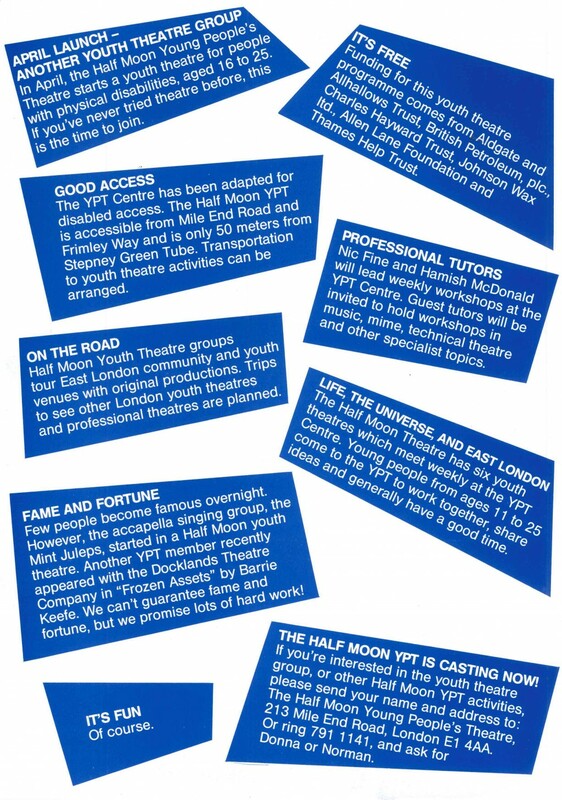 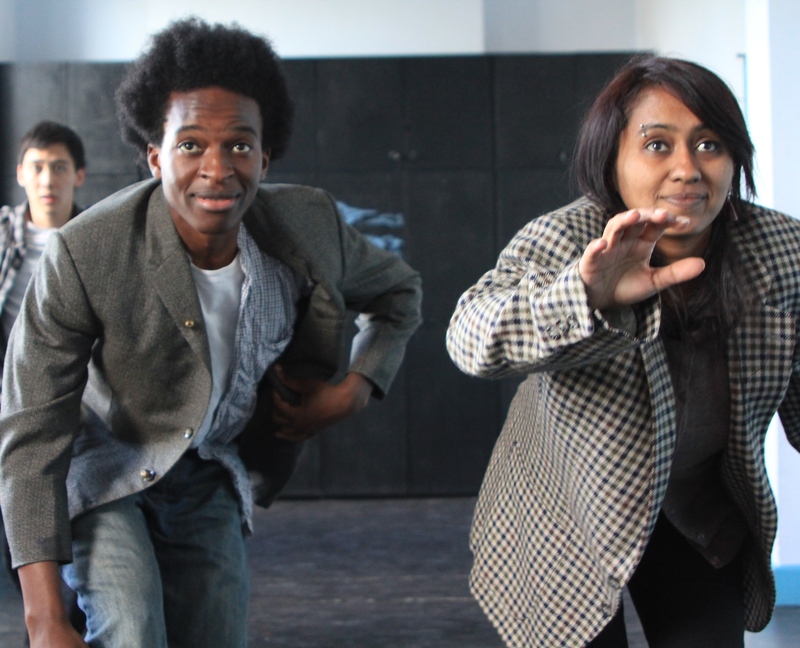 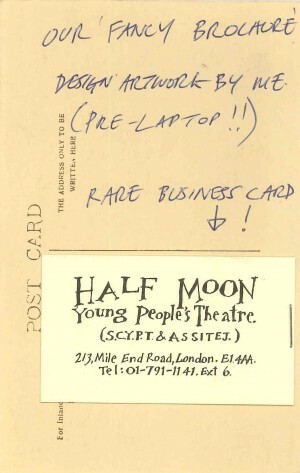 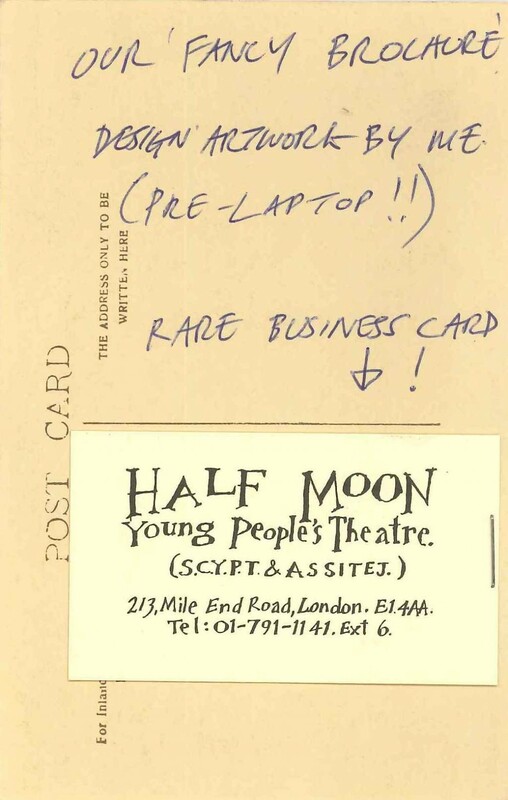 The Half Moon Young People’s Theatre was a big chunk of my life. 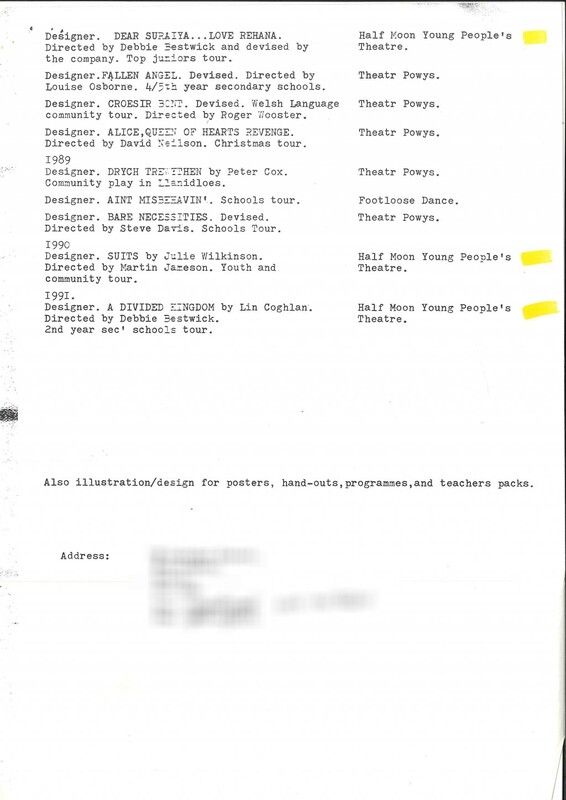 Lots of endless company meetings and policy ‘stuff’ and hundreds of auditions to sit through over the years. All good fun!